Rest assured you are only getting excellent Best Friend Deluxe Grazing Muzzles for a less than wholesale price. This Grazing Muzzle is on of our most popular models. All of our products were constructed using only high quality materials. Our Grazing Muzzle is an extraordinary muzzle that will provide maximum comfort for your horse. Comes with a side buckle for breakaway and comes with a spare buckle that can be attached with ease. Adjust the muzzle just as you would adjust a halter, leave one inch between the mouth and the muzzle itself. The deluxe also has room for eating and you can fit a couple fingers in the muzzle comfortably. 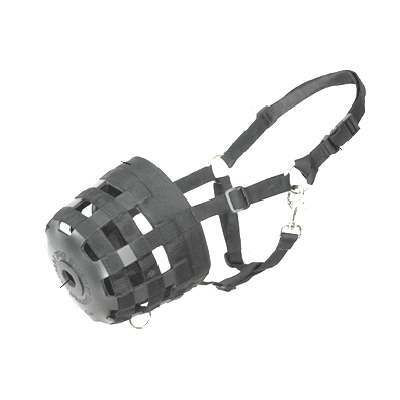 This product has been designed to be one of the most durable muzzles available worldwide.